Channapatna, located at the south-west of Bangalore, is well-known for its wooden toy-making. It has been estimated that more than 6000 people in Channapatna are employed in manufacturing toys in about 250 workshops and 50 factories. 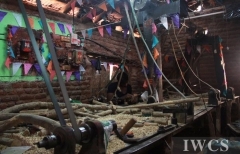 The prosperity of wooden toy-making has rewarded Channapatna as the “toy-town.”At the suburb of Channapatna, there is a traditional village. A row of bungalows, colorful walls, and lovely children portray the beautiful rural village. There are a few toy factories in the village. Although the exterior looking is not distinguishable, the buzz of motors gives the truth away. 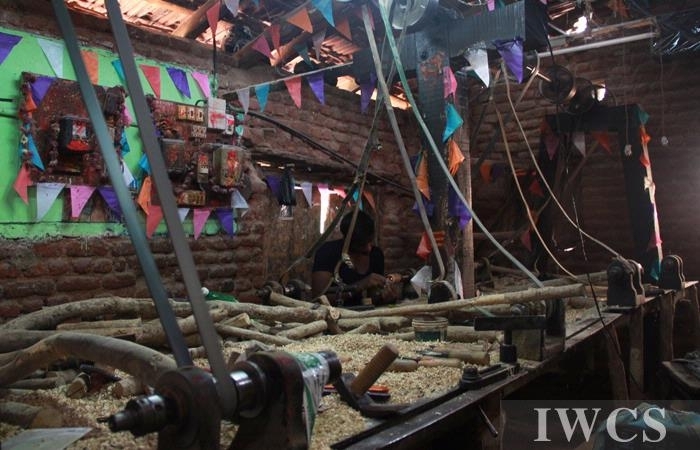 In the factory, workers share motor and use lathe to produce wooden toys.